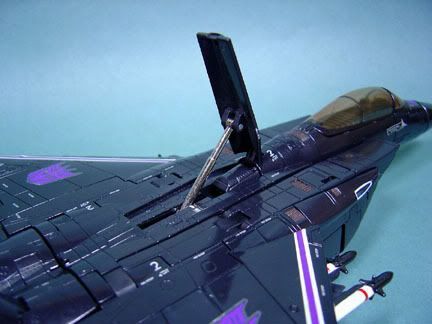 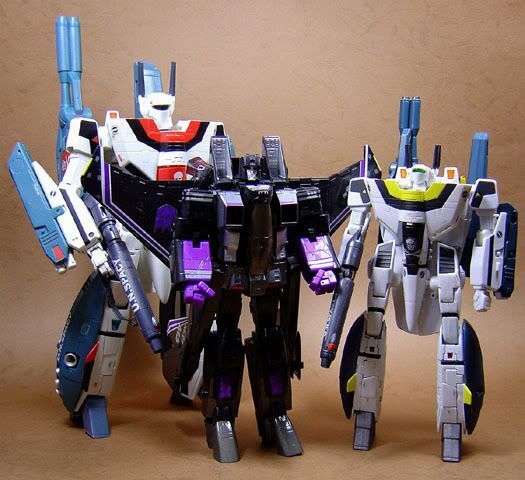 Chest missiles -though never used by Skywarp in the show (Starscream only used them once), I guess they included this feature since it was already there. 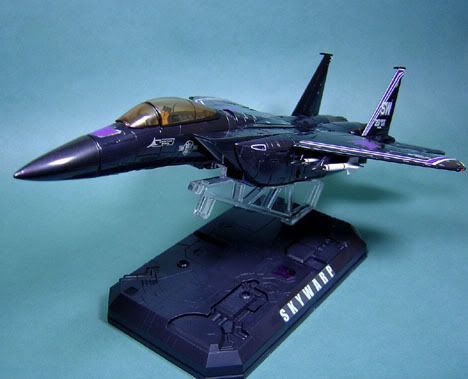 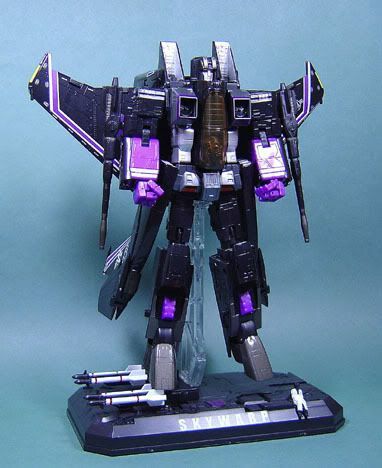 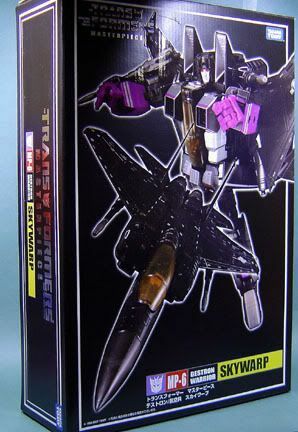 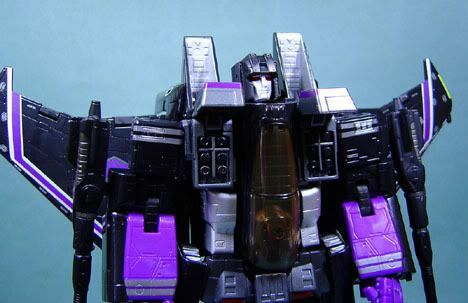 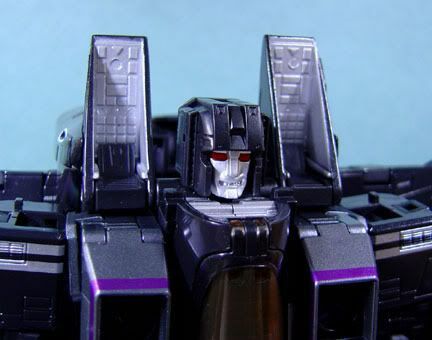 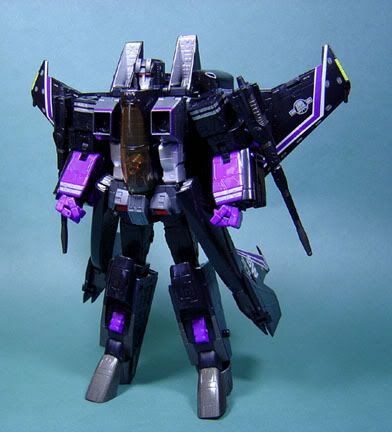 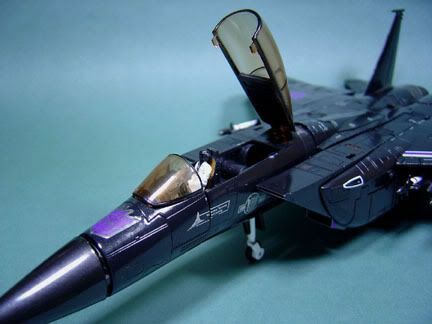 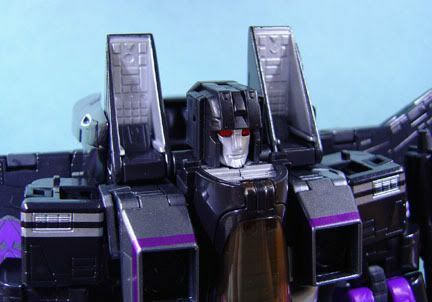 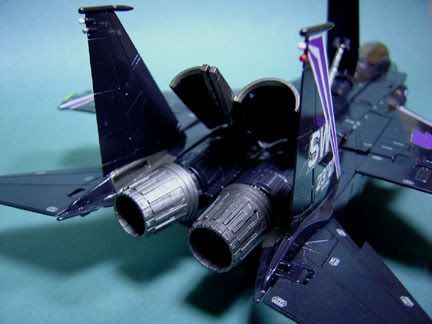 According to the G1 bio, Skywarp’s weapons include heat-seeking missiles and variable-caliber machine guns. 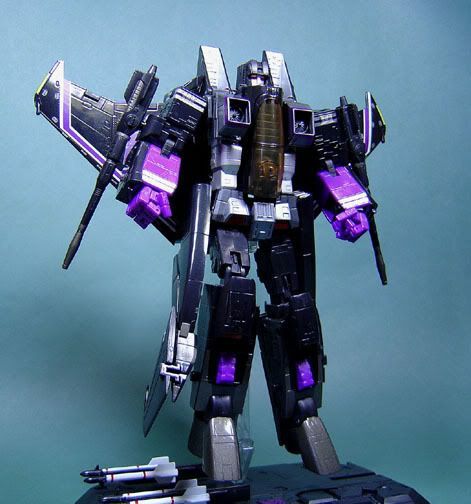 His deadliest weapon is most likely his ability to teleport anywhere within a distance of 2.5 Miles. 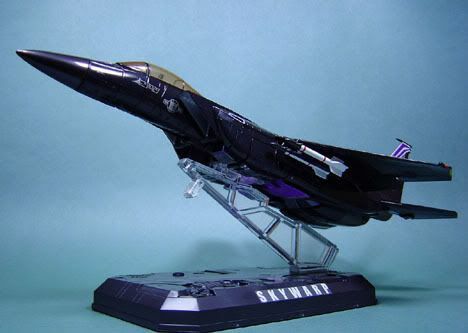 The Display stand is great for posing the figure like he’s in mid-flight. 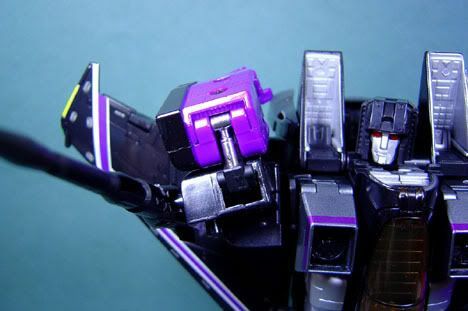 Megatron gun (from Masterpiece Prime 01 and 04) can be mounted underneath the c0ckpit. 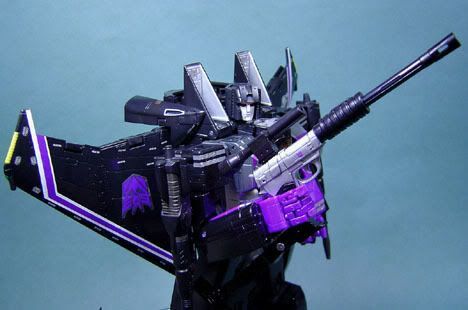 To attach the gun to the ring, pull out the gun barrel on Megatron. 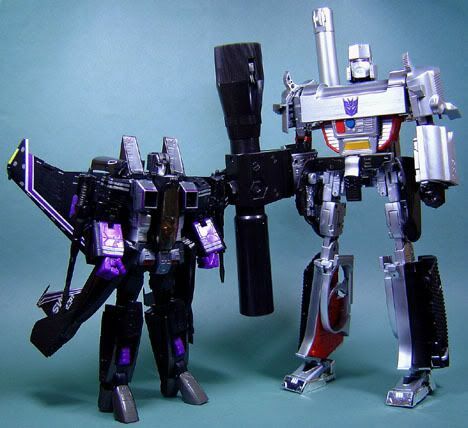 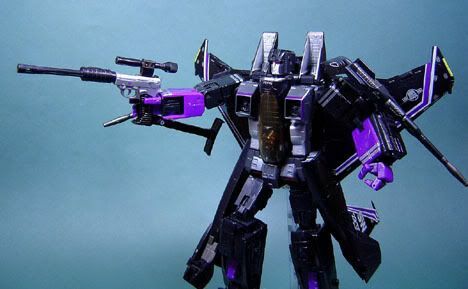 I guess Skywarp’s most memorable scene in the series (apart from being the first Transformer to be reactivated on Earth in 4 Million years) was Skywarp holding Megatron in pistol mode when Megatron was loaded with Anti-matter. 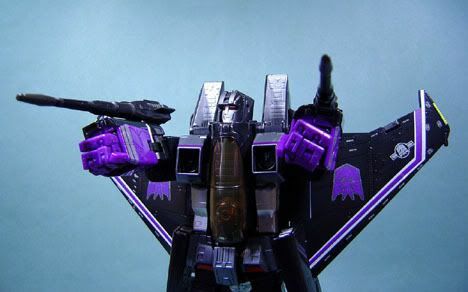 Skywarp was later defeated by a kid in a wheelchair. 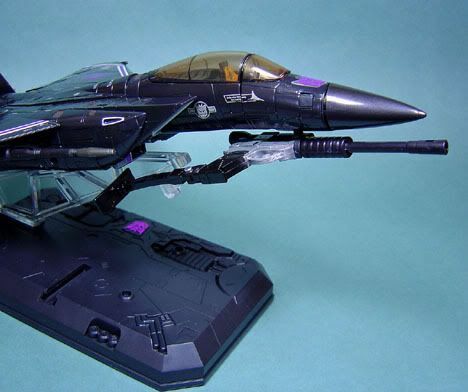 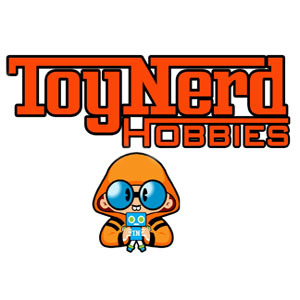 The Masterpiece toy was re-designed by famed Macross mechanical designer Shoji Kawamori, here’s a comparison with the other Macross mecha from Yamato. 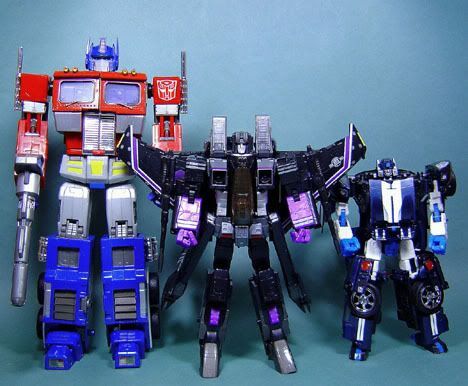 -Pretty much in-scale with Alternators and Binaltechs, but kinda looks puny next to the 12 inch tall Prime and Megatron. 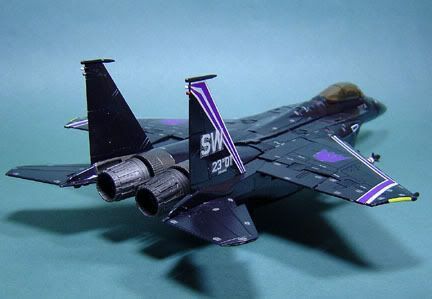 -Plenty of stickers, the Decepticon logo on the wings and stripes on the wings have to be manually attached. 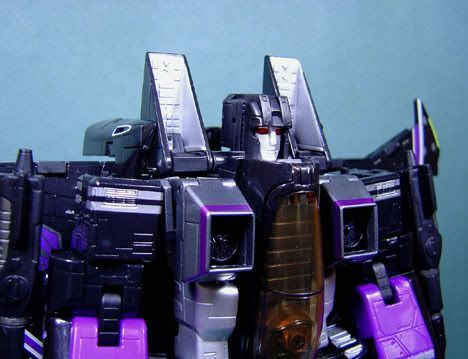 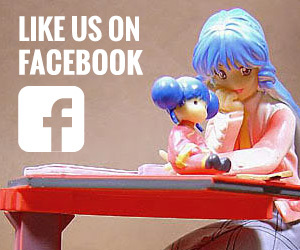 -The toy is a little top heavy so to make him stand, the legs have to be posed a certain way otherwise it won’t work. 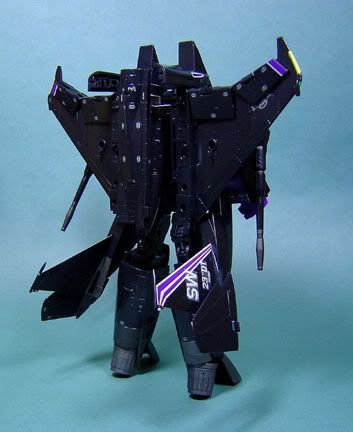 -Definitely a huge improvement over Starscream, a lot of people complained of Starscream breaking apart on the first transformation. 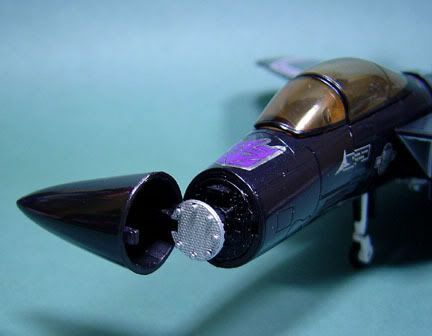 With no way to glue to parts back together. 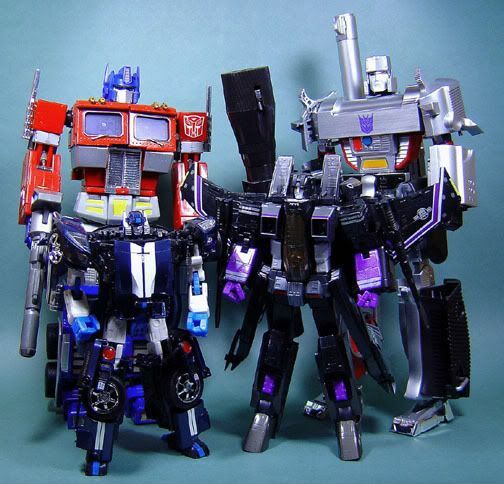 No such problems here.